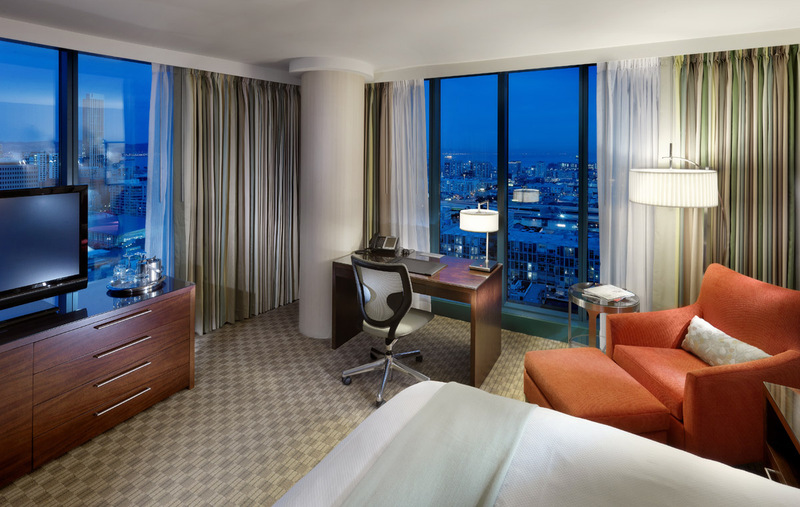 If you’re going to San Francisco… and you care about the environment, consider booking a LEED certified hotel. So, what is LEED, and why should you care? The LEED program verifies if a building was constructed with the environment on the top of mind. And since we all live in this world together, it’s nice to think that your hotel might care about protecting our planet. Now that you’ve had your lesson on LEED, let’s talk about these eco-friendly hotels in San Francisco. All 5 of these hotels will put your eco-friendly mind at ease. It’s easy to get the best of both worlds in this eco-friendly haven without sacrificing the standard W Hotel design. The buildings green touch is hardly noticeable to the everyday guest, but still makes quite the impact. What’s even more amazing is that to further cut down on carbon emissions, the hotel management is considering installing a wind turbine on the hotel’s roof, which, if it goes ahead, would make the hotel the first commercial building in the city to have a turbine. As the name indicates, this hotel was designed with the earth in mind. The building is composed of fly ash, a byproduct of recycling coal, and wood certified by the Forest Stewardship Council. Once you step inside, you’ll notice ‘low flow’ toilets, fabrics made with recycled polyester and in-room recycling bins. This hotel is the largest LEED Gold Recipient of existing buildings in California, and for good reason. Floor to ceiling windows deliver natural light throughout the building, while motion sensors save on energy. And to top it off, they’ve partnered with Zipcar so you can get around in eco-friendly style with Prius Plug-in Hybrids. The familiar saying of “reduce, reuse, recycle” is the basic creed of this environmentally conscious hotel. Just some of its green achievements include reducing CO2 by 176 tons, diverting 80 percent of landfill waste and reducing water consumption by 27 percent. They’ve managed this by decreasing the use of toxic materials, clean energy through on-site solar production and water efficiency with low-flow toilets and shower heads. Green materials comprise the entire building from the recycled carpets to the insulated walls made from re-purposed cotton denim. The inside also has no shortage of eco-friendly fixtures. Housekeeping strives to recycle and compose as much as possible to reduce landfill waste while plumbing, heating and electrical systems that maximize energy efficiency are all in place. If you can get quality and comfort while helping out the environment then why not do both? These LEED certified hotels offer all the conveniences of a modern day hotel while simultaneously reducing your carbon foot print. It’s a win for the environment, a win for the hotel and a win for you.